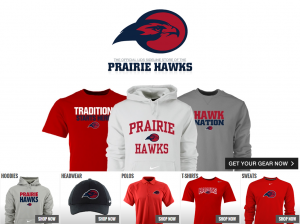 Show your school spirit in custom Hawks spirit wear! Select from wide variety of styles, colors and sizes. Not all styles are available in every size or color. BSN does not offer refunds and/or exchanges on custom apparel or products, unless damaged upon receipt. Primary & Middle School Uniform Alert: To ensure your custom BSN Sideline Store purchase is uniform compliant, please limit color selections to RED, WHITE and/or NAVY. If you have questions regarding the BSN site, product line, Sideline Store purchases, including order status or tracking, please contact BSN Sports directly. A limited supply of uniform approved spirit wear if available for immediate sale! The 2018 styles feature winning designs created by two Upper School students from TPS’s first Spirit Wear contest. Contact Dori Panthofer in the Athletic Office for details. Letter jackets are a great way to show your athletic achievements and school pride. For more information, visit the Upper School section of Parent Information tab on the Athletics page.